So you’re about to start a new blog on your company website. If you’re already thinking about your new blog, then you’re probably aware that having a blog is pretty important to the success of your website. But do you know how important it is? Let me tell you – it is really important! Your blog is going to be the basis for all of your content marketing – and as you’ve probably heard from one place or another, content is king! If you are able to leverage your blog effectively, then there’s a strong possibility that you’ll end up boosting the exposure of your company’s brand, establishing your company as an authority within your industry, increase your website traffic and increase your customer base. And that’s just the tip of the iceberg! However, in order to accomplish all of these feats, you’re going to have to make sure that you’re running your blog properly. 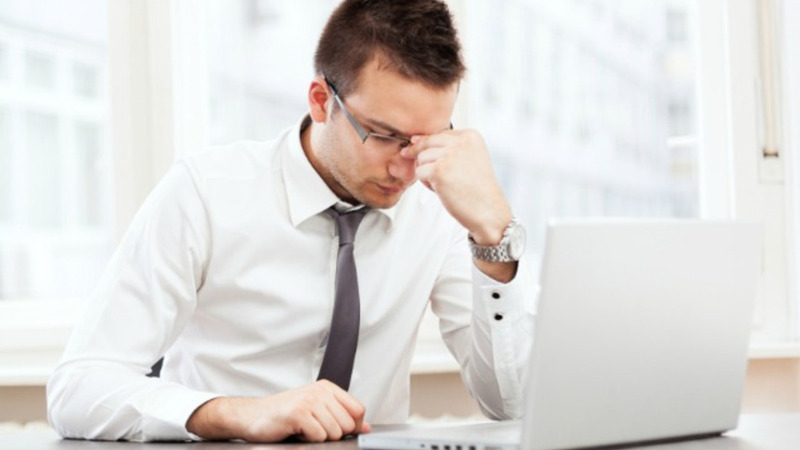 Many new bloggers will begin churning out content without regards to their audience. As long as they feel that it’s somehow relevant to their brand, they assume that it will be what their audience wants. This isn’t a great way to go about writing your blog content, mostly because if you aren’t writing for a specific audience, you’re basically not writing for any audience at all. 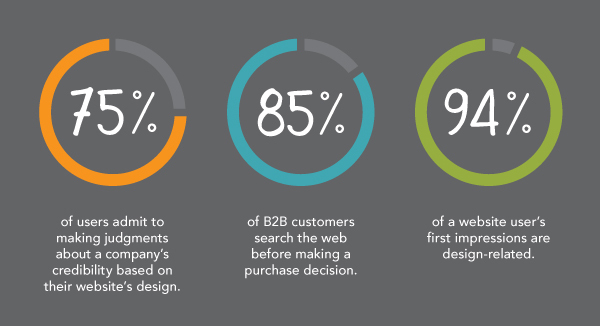 This is one of the reasons why it’s so important to identify your buyer persona before you begin writing content. A buyer persona is a fictional character that’s representative of your core audience. Buyer personas include information such as gender, age, profession, financial standing, education, buying habits, goals and needs. Once you’ve identified your buyer persona (and keep in mind, you can have more than one), you’ll have a much better idea of who you are writing for, which in turn will make your content much more effective at connecting with your audience. This can be a little bit more challenging than you might think. There are two main types of content – evergreen content and trending content. Evergreen content – Evergreen content is content that is not time-sensitive. This means that even months – or even years – after being published, it will still be relevant. Building up a library of evergreen content is an excellent way to build your reputation as an authority within your industry. Evergreen content often includes “how-to” guides, testimonials, history-of posts, glossaries of phrases and terms, tutorials and FAQs (Frequently Asked Questions). Evergreen content can often be reused to entice new readers, such as by reposting links to older blog content on your social network business pages. Trending content – Trending content is content that is currently popular in searches. Most trending content is time-sensitive and relevant to current events. Creating trending content is a good way to bring in a lot of new traffic – often more traffic than evergreen content might bring in. However, because it’s based around current trends, it will most likely become irrelevant after a short amount of time. For example, a post about a potential presidential candidates will lose all relevance once the election ends. Trying to figure out whether to write evergreen content or trending content can be a bit tough. Keep in mind that trending content can help boost your freshness score, which Google uses in order to provide relevant content to its user queries. Ideally, it’s a good idea to write a little bit of both; however, it largely depends on the kind of blog you are writing. For example, it makes no sense to write evergreen content for a sports blog, whereas evergreen content makes more sense for a blog about DIY home remodeling projects. 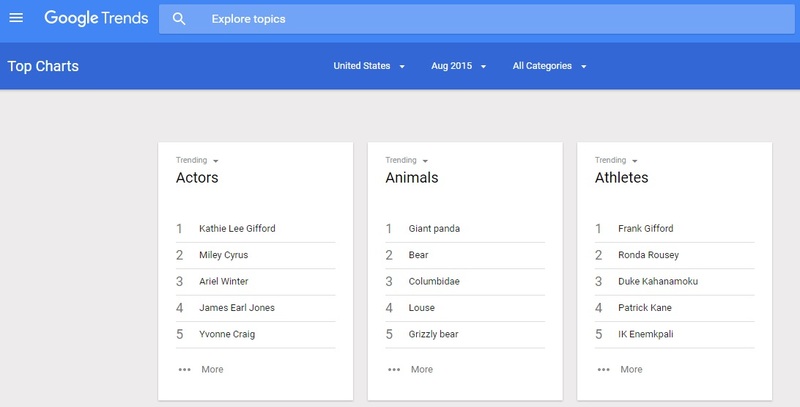 Google Trends – The front page of Google Trends lists popular trending stories over the past 24 hours. There are a number of categories that you can choose from or you can do a search on a topic to find related trends. You’ll also be able to see what the top queries within that topic are, which can give you some great ideas for creating trending content. Buzzsumo – Buzzsumo is a similar tool in that it can help you identify what topics are trending. What makes Buzzsumo different is that it judges trending topics based on social shares – as you can see from the diagram above, you will get to know the number of shares for each social platforms individually and also the total numbers of shares for all. Google Plus – This is another great platform where you get to look up for some of trending topics or you can actually join into some of the community that’s related to your niche. From there you will be able to know are some of the latest topics being shared within the community. 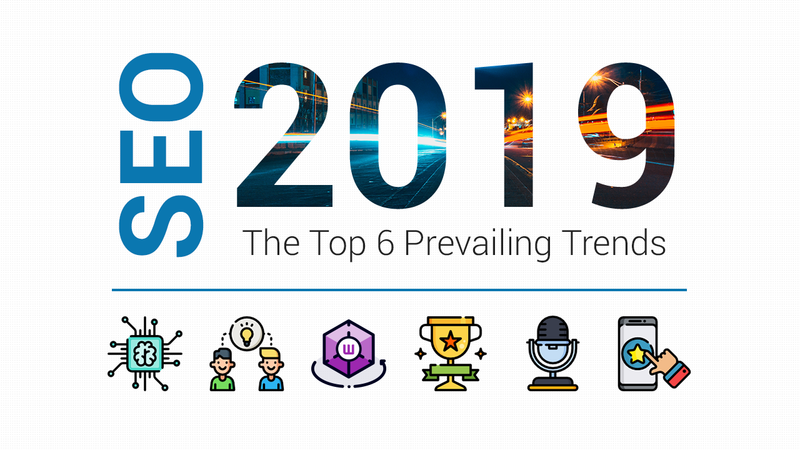 So we just explained how trending content is something you should strongly consider writing (unless your blog focuses primarily on evergreen content). But let’s go into a little more detail on why content that is current, relevant and fresh is important to SEO. Google assumes that its users are looking up content that is relevant. When someone does a search for “movie times,” Google isn’t going to pull up the movie times for December 1st, 1975. Why would anyone want this information unless they asked for it specifically? 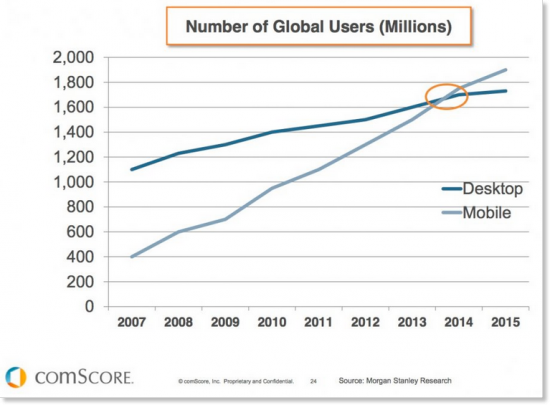 This is why Google emphasizes current content. 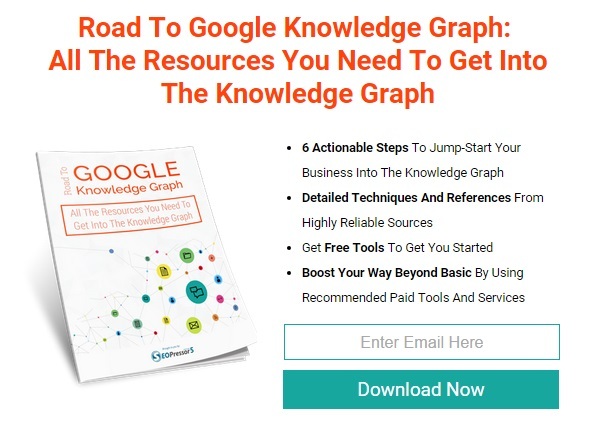 There are numerous factors that Google takes into account, including how often your website is updated, the dwell time of your visitors, the amount of links you earn over time and the freshness of the content linking to you. But how does fresh content perform so much better than evergreen content? Besides helping achieve a higher freshness score, which influences your PageRank, fresh content has less competition than evergreen content, and it is aimed at more highly focused traffic. 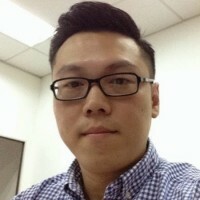 However, it is only for a short period of time and once the event is over, the traffic will drop or probably zero as time goes by. Therefore, in order to retain that kind of highly focused traffic and the freshness score, you’ll need to consistently put out new, fresh content. 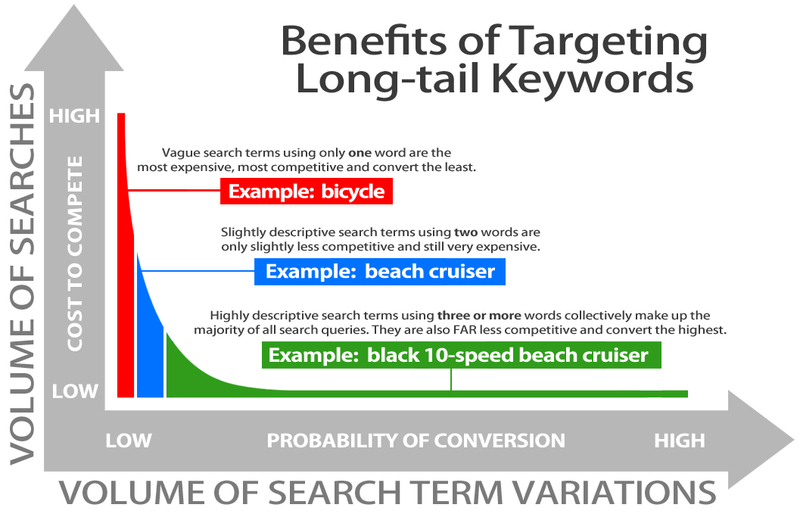 Long-tail keywords are keywords that are made up of three or four words. 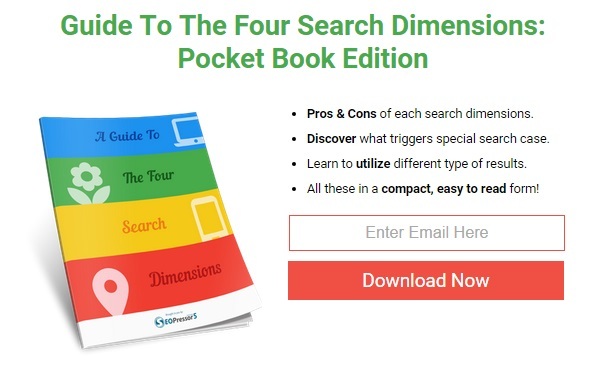 They tend to be much more effective than regular keywords that are only one or two words long. 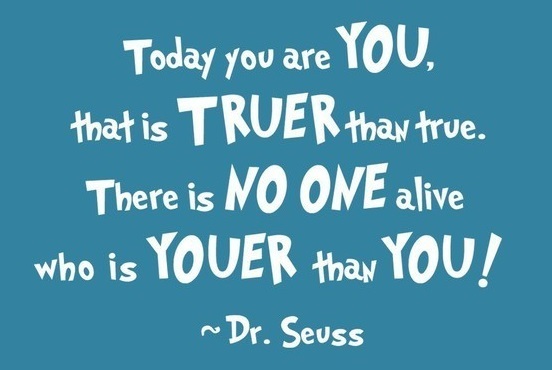 This is especially true for small businesses. The reason behind this? As you can see from the diagram above, regular keywords are going to be incredibly difficult to rank for because they are very expensive and highly competitive as well. For example, if you are trying to rank for the word “bicycle”, can you imagine how many businesses you would be competing against? However, if you opt for a long-tail keyword, such as “black 10-speed beach cruiser,” it narrows that competition down. Not only are you not competing against as many businesses, which means you’ll rank higher, you’re also targeting a more specific audience, which means the traffic you’ll be attracting will be much higher in quality. 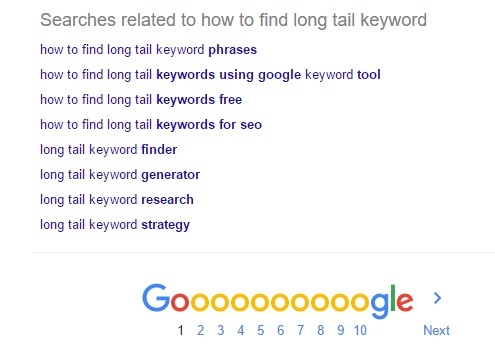 So how exactly can you go about finding long-tail keywords for your blog? You can start using the auto suggest feature on Google’s search engine. Simply type in a keyword and it will suggest some of the more popular long-tail keywords for that keyword. One of the most important goals of your blog should be to connect with your readers. To do this, your content has to not only be informative and valuable, it also has to be personable. You need your readers to relate to your brand, which means your blog can’t sound like it was automated – there has to be some personality behind it. A blog post that reads like an encyclopedia entry is going to bore your readers, not to mention that it won’t help your blog stand out from your competition. One way to avoid this is by being more conversational. Write in the second person and address your readers directly. Writing in the third person isn’t exactly forbidden (if you’re trying to get across a sense of professionalism, then it can work), but it can result in your blog sounding a little distant to your readers. Writing in the first or second person will make it easier for readers to engage with you since you’ll be engaging with them. When creating a voice for your blog, you need to keep your target audience in mind. For example, if your target audience is professional men between the ages of 45 and 55, then using teenage vernacular that’s popular at this time isn’t going to be a good way to connect with your audience. Knowing your audience will help you to develop a unique and consistent voice and an appropriate personality for your blog. While using some personality in writing your blog will go a long way in achieving a more readable blog, there are a number of other ways you can do this as well. First of all, make sure that your blog posts aren’t pages upon pages of text. While they don’t necessarily need to be short (longer content can be more involving for your readers and often leads to more sharing), you don’t want them to look like college essays either. These elements will make your blog posts much more easier on the eyes and also provide your readers with the opportunity to scan your post quickly to see what it is about. Another excellent method for breaking your text and to increase your reader engagement is by using some powerful visual content. Visual content, such as infographics, meme, photographs and etc, also make it easier for readers to understand what your blog post is about by just scanning it. Not to mention that visual content will draw the reader in since humans are naturally more attracted to visuals than text. It’s not difficult to find high-quality images for your blog either – there are tons of websites out there that provide free high resolution images, such as Unsplash and Death to Stock Photos, to name a few. Starting a blog tends to involve a lot of trial and error, especially when it comes to things like coming up with unique subject matter on a regular basis, figuring out how often to post to your blog, how to create blog content that is shareable and more. Instead of going through an entire trial and error process, do a little research on the blogs that other businesses within your industry have. 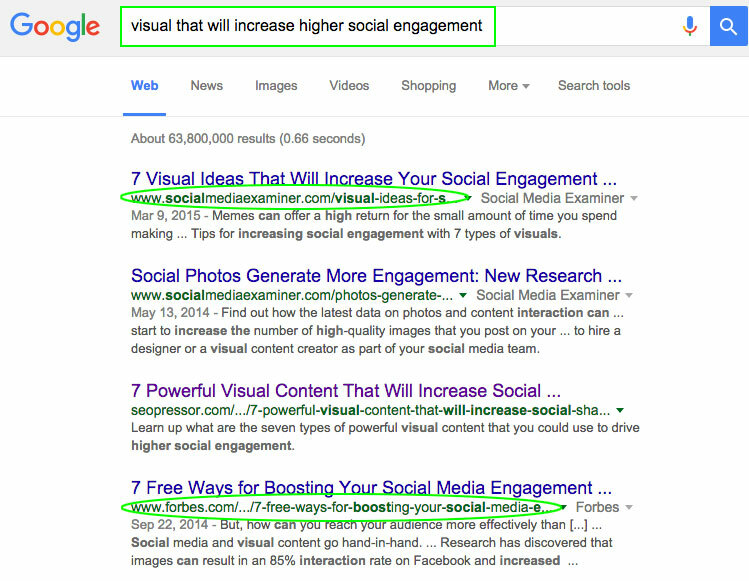 Let say if you wanted to know more about what kind of “visual that can increase higher social engagement,” you can always perform a little research on that and see what are some of the results that appear. Go through some of the more popular blogs that have been around for a while to see what they do in terms of what works. You can get an idea of how much you should post in order to engage with your audience without starving or spamming them with content as well as what type of content your target audience seems to gravitate to the most. Knowing who the influencers and experts are within your industry can be extremely useful. First of all, you can use their blogs as sources for your own content. Mentioning them and linking to their blog is a great way to provide additional value to your readers as well as provide your own blog content with an extra layer of legitimacy. You should always backup any data or information that you provide your readers with sources from authority websites anyway so it doesn’t seem like you’re pulling numbers out of thin air like 60 percent of all bloggers do (that’s actually not true – we pulled that number out of thin air). Linking back to authority websites run by influencers and experts can also help to build a relationship with these influencers and experts. They’ll notice that you are using them as sources and that you are sending them your readers. They may return the favor by linking to your blog, which will help to boost your PageRank as well as bring in more high quality traffic to read your blog. A relationship like this could result in some of these influencers and experts creating a guest post for your blog. You could even be asked to write a guest post on one of their blogs, which is an excellent way to improve your reputation as an authority yourself and to increase your blog’s exposure. Be clear and concise – Don’t try to stuff too much into your headline. You don’t want readers to have to go back and re-read your headline because they forgot what it was about. It should be obvious what the subject of your blog post is by a quick read of your headline, which means that keeping it short and sweet is the best way to go. Offer value – Readers need to be enticed – they need you to give them a reason for reading your blog post. 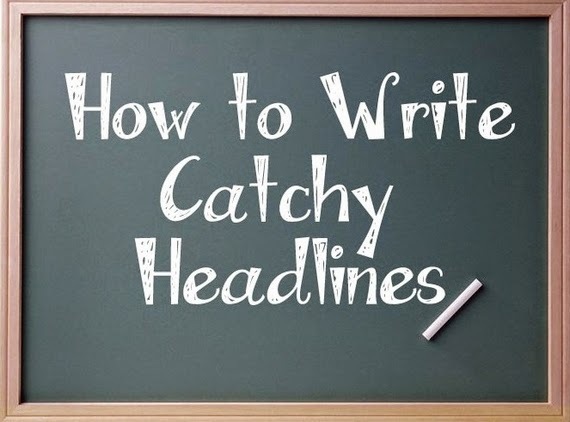 Some of the most effective ways to do this is through the use of question headlines, how-to headlines or list head-lines. Unfortunately, just because you build it does not mean that they will come. It doesn’t matter how good your blog content is – if you aren’t promoting it, then nobody’s going to be reading it. Social Media – Posting links to your blog on social media is one of the most effective ways to draw more readers. Many of your followers don’t visit your blog regularly, which means reminding them about new posts can be very helpful. Not to mention that via social media, there’s a better chance of your blog post being liked or shared, which can help to boost its exposure to other audiences. Of course, you’ll need to make your content easy to share. 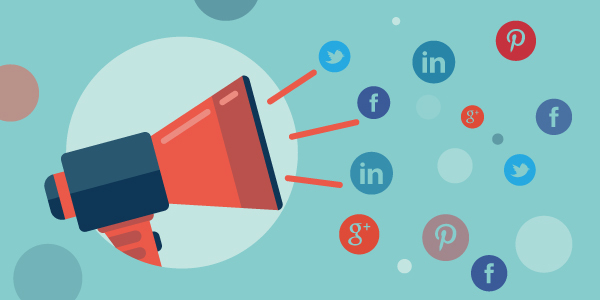 You can do this by adding social share buttons for all the major social channels to each blog page. This allows readers to share your blog with a click of a button. To add social share buttons, you can simply use a WordPress plugin like Digg Digg. Email Marketing – You can send links to new blog content to people on your email list who you think the content would be valuable for. Not only is this a good way to continually nurture your email list, but it’s also a great way to redirect traffic back to your blog. Remember, just because you were able to capture your leads does not mean that they are regularly visiting your blog. PPC – A lot of marketers look down on PPC (pay per click) advertising, but it can be a really effective way to test out keywords as well as to promote new blog content. Just use PPC as a complementary tactic and not as a main strategy and you’ll be happy with the potential results. At the end of your blog content, you’ll want to add a call-to-action that encourages readers to opt-in to your email list. However, good content will only go so far in building a relationship with your readers – you’re going to have to give them a reason to want to opt-in. So give them one! Create an irresistible offer for opting in, such as a free downloadable eBook or a special discount on one of your products. When it comes to the Internet, people do judge a book by its cover. The aesthetic of your blog as well as the overall design of your website have a huge impact on visitors. Your blog should make use of a simple and elegant design that’s not cluttered with a million different fonts and colors. Obviously, you don’t want your design to be bland, but going overboard with your design elements can make visitors feel overwhelmed, to the point where they are distracted from what’s important – your content. Go through every blog page and optimize it in order to improve your search engine rankings. This means using high quality keywords (such as long-tail keywords) throughout your content, including titles, H1 and H2 tags, Image name and ALT attributes, anchor text and more. Keep in mind that Google takes into account backlinks and social signals as well. Try using our SEOPressor SEO WordPress Plugin to help ensure your content is properly optimized. Our plugin will scan through your webpage and provide you with an overall SEO score as well as a keyword density number. 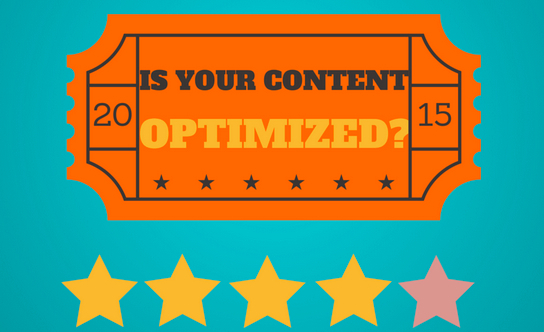 It will even give you suggestions for how to improve your content’s optimization! Last but not least, don’t ignore your meta descriptions. Meta descriptions may not have the impact on search ranking that they once did, but this doesn’t mean that they are no longer important. Meta descriptions provide users with a brief description of what your blog is about, which can help to improve your click-through rate on Google’s search result pages – so spend some time crafting strong meta descriptions for your blog pages. 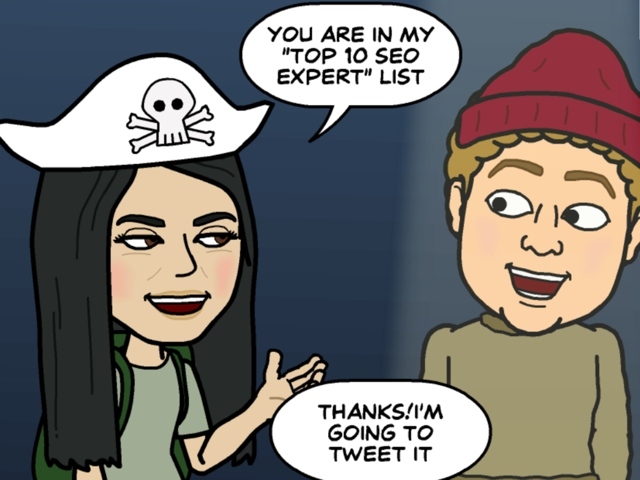 Internal links can actually help improve your SEO. This is because linking to other relevant pages on your website, such as other blog posts, will keep readers on your website for a longer period of time. This means that your dwell time goes up, which is a metric that Google’s algorithm takes into account when ranking your page. Making sure a blog is mobile-friendly is not even an option anymore because it has now become a necessity for every business or website owners if they want to stay ahead of competition and to ensure the success of their businesses. As you can see from the diagram above, the total number of mobile searches has exceeded the desktop searches somewhere in the beginning of 2014 and the number is expected continue to grow.Besides, Google’s most recent algorithm update rewards websites that are mobile-friendly by ranking them higher on mobile search. Not to mention that a large percentage of your readers will most likely be viewing your blog from their mobile devices, which means that you’ll want to make sure it’s properly displayed and easy to use for mobile users – otherwise they’ll exit your blog as quickly as they entered it. You need to focus on building your email list on the first day your blog goes live. Sign up to an autoresponder such as MailChimp or Aweber so that readers that opt-in will receive an introductory email immediately. Your email list is important since you can use it to nurture your leads as well as drive traffic back to your blog. You need to know how effective your blog is in order to make adjustments to your content strategy. Use something like Google Analytics in order to keep up with important metrics, such as bounce rate, dwell time, page visits and more. These metrics can tell you a lot about your blog’s performance as well as the general health of your website. If you’re new to blogging, then it can be a little overwhelming as you get a hang of it all. However, these 17 tips should help you to not only create effective blog content, it should help you run your blog successfully as well.